Ok all you crazy cats, who’s ready for the Biggest Get Down In Town?! Disco Inferno is a spectacular all singing, all dancing celebration of everything disco. For all those who dreamed of going to New York’s Studio 54, this is the night for you. From the smoking hot girls to the guys in platforms, this show just screams glitter balls and good times. 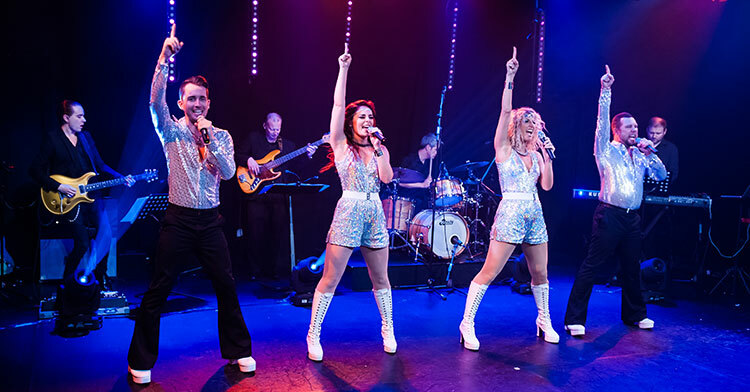 You will be greeted with pitch perfect harmony, slick choreography and disco classics such as Can You Feel It, Don’t Blame It On The Boogie, Car Wash, It’s Raining Men, Play That Funky Music to name just a few! !